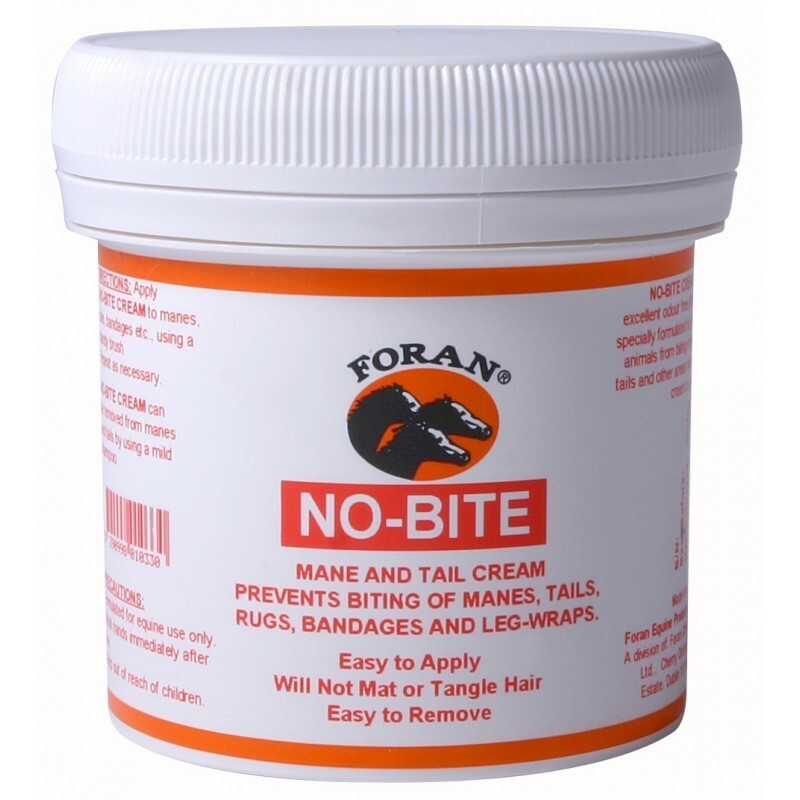 NO BITE CREAM, strong, highly effective cream deterrent to stop mane and tail biting. 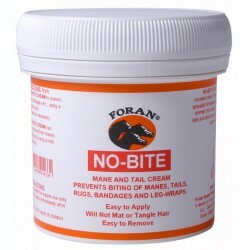 NO BITE CREAM helps improve the mane and tail appearance and maintains tangle free condition. Easily applied and provides subtle, odourless coverage. Instructions for use : Apply NO BITE CREAM to manes, tails, bandages at risk of being bitten, using a dandy brush. Easily removed by shampooing and washing.